Kerry Meyer visited. The four days below cover six states and nine trials. Every plant in North America is subject to at least one weather- or critter-related problem. 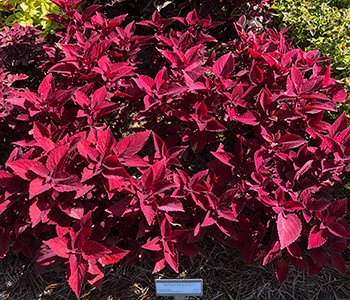 What few gardeners realize, however is that these problems can be avoided by selecting plants that are more suitable for the specific region you live in. That's where trials come in! 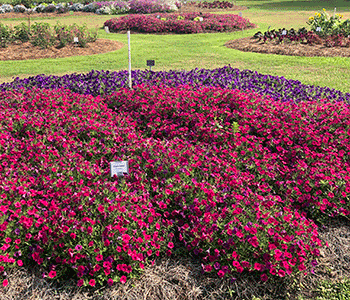 Trials are the plant industry's way of measuring how well a particular variety will perform in different parts of the country and evaluating new plant varieties. 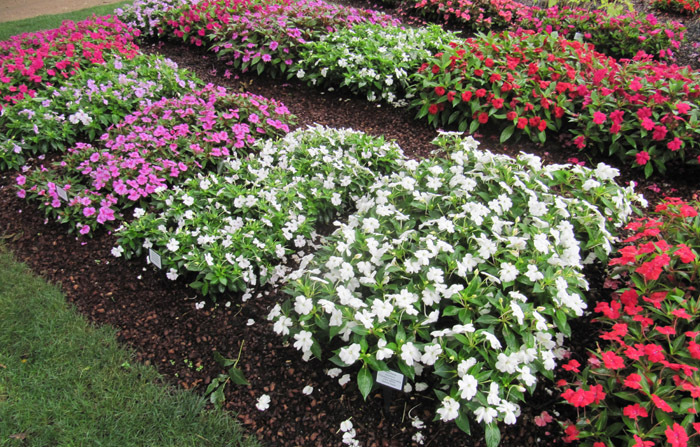 There are two kinds of trials: University field trials which generally consist of beds where each plant is grown in a small plot (called a row trial), and public gardens, where plants are often put in display beds or pots. 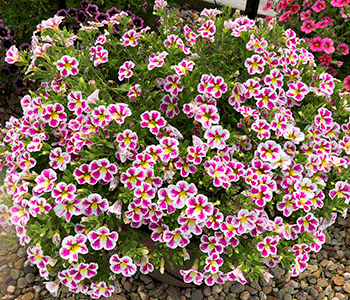 Proven Winners sends plant material to both kinds of trials, and also conducts their own trials at test sites across North America. 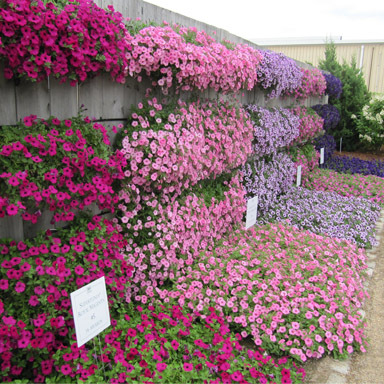 By visiting a trial in your area, you will be able to see how plants perform in an environment similar to your own. For instance, if there is a new Verbena that is tolerant to mildew, gardeners in the Midwest and Southeast would like to know about it. 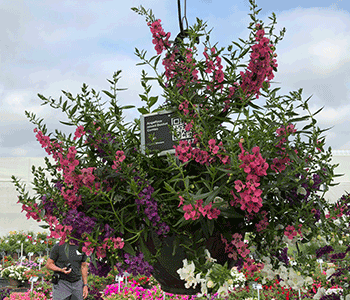 And while all Proven Winners varieties perform well in a range of environments, there will always be some that are better suited to certain regions than others. 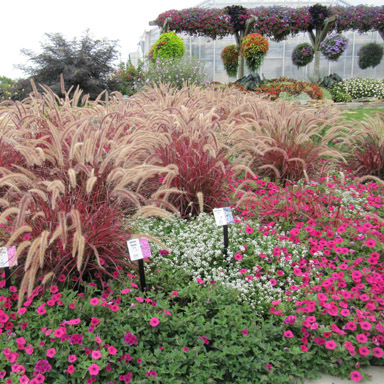 Different varieties are grown side by side for comparison. Limited parking is available in the gardens visitor lot, south of the Plant and Soil Sciences building on Bogue Street and Wilson Road. During university business hours (8:00 am to 6:00 pm) parking tokens are required to exit the lot and are available at the Visitor Booth for $3.00. At other times parking is free. Located at the Ball Horticulture headquarters. 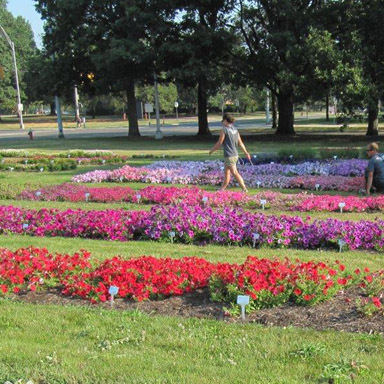 The Idea Garden is located within University of Illinois Arboretum on south Lincoln Avenue in Urbana, just south of the corner of Florida and Lincoln Avenues.